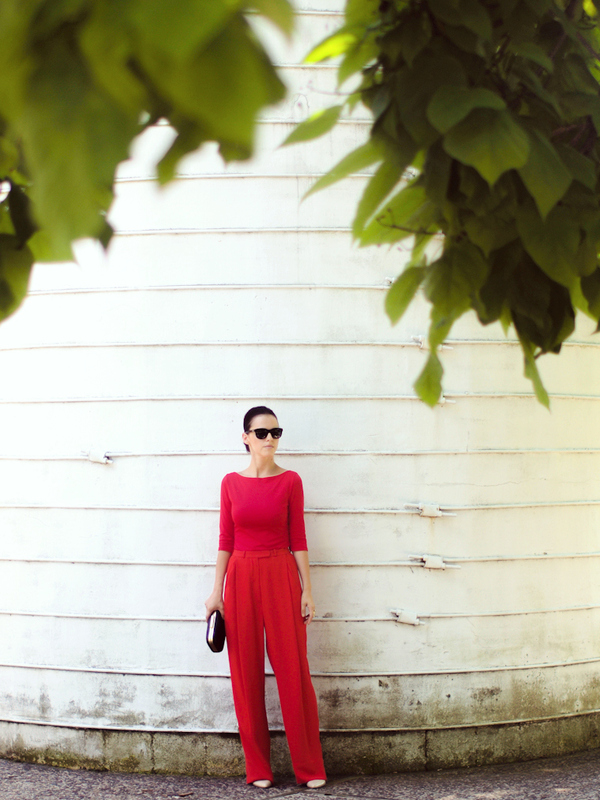 I couldn't let this Summer pass without wearing this RED trousers in a complete red look. I purchased them since Spring and I was looking for a perfect event to wear them. Perfect you , lady in red !! and that is the epitome of ladylike grandeur! Really fabulous! Impossible to not fall in love with this outfit! i love this total red look. A-ma-zing!!! Love this all red style! This is such an amazing look dear! 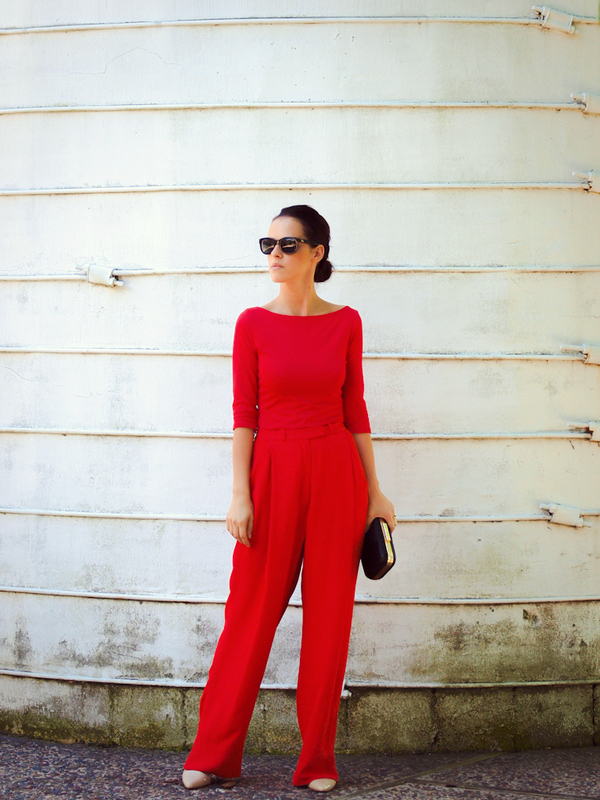 Total red = absolute chic! You look great! Fabulous look. Simple and elegant. This is beyond fabulous. LOVE! you can tell: Lady in red! absolutely amazing! absolutely gorgeous . stunning and perfect. What a great red monochromatic color story. Love it! Stunning look! Red is perfect on you. LOVE! everyone thinks black is my favorite color.. close.. but no.. it is actually Red.. I’m loving this shade on you.. great ensemble! Fantastic outfit! Great blog, I follow You! Wow stunning. 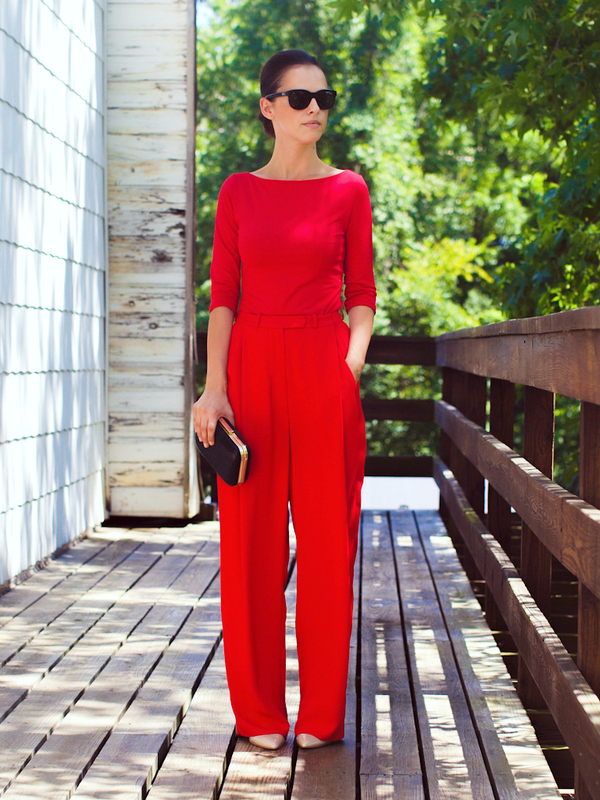 Daring to wear a total red outfit, but you’re totally pulling it off here!